Fantasia Belaire Combi 42″ ceiling fan with light kit in brushed nickel with reversible maple or dark oak finish blades is traditional. Fitted with two hanging pull chains that operates the three fan speeds and the Belmont lights independently. 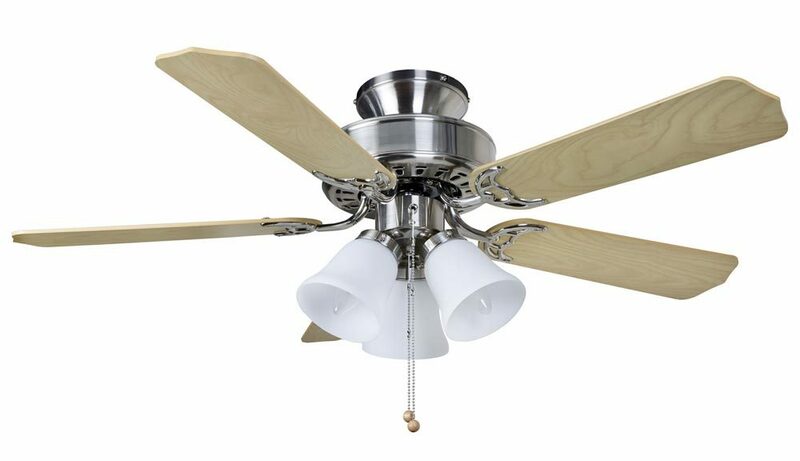 This traditional style fan has a brushed nickel finish motor housing and sleek reversible blades. The motor is almost silent when operated on the lower settings and consumes 58w of electricity at the highest speed setting to give an impressive airflow of 5300 cu/ft per minute. This fan can be fitted as a flush mount as shown or can be fitted using the supplied 6″ and 12″ drop rods as in the secondary image. Longer drop rods up to 72″ in length are available and it can be easily upgraded to full remote control; please contact us for any of the options. 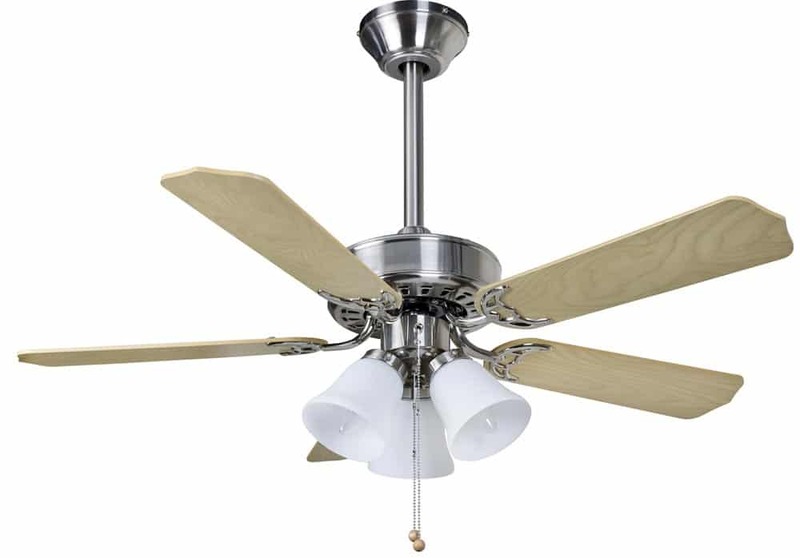 This Fantasia Belaire Combi 42″ ceiling fan with light kit in brushed nickel with reversible maple or dark oak finish blades is virtually silent. Part of the EuroFans range and supplied with a manufacturers 5-year motor guarantee.